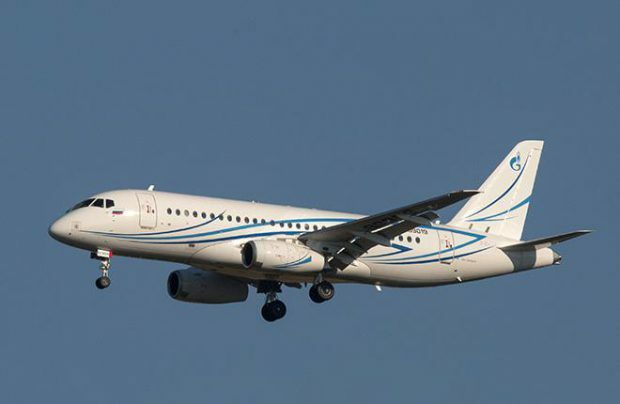 Kazan-based Tulpar Technic has been approved to provide MRO for Sukhoi Superjet 100 (SSJ 100) Russian regional jets. The license includes performing all types of scheduled and line maintenance services. “We’ve got Letters of intent for almost 30 aircraft that should provide a good capacity load for the nearest reporting period”, says Vyacheslav Dunin, Tulpar Technic director general. The airlines in question are Gazpromavia, Yamal, Iraero, Rusjet and Comlux (Kazakhstan branch of the Swiss-based business aviation operator). “We work with all operators, both private and government entities”, Dunin concluded. The company plans to service its first aircraft this month. It is currently participating in a corresponding tender. Tulpar Technic hangar is designed with Sukhoi Superjet 100 maintenance operations in mind. Commercial aircraft section can accommodate an SSJ 100, Bombardier CRJ and a helicopter. The interest to this type of service is considerable, said the company representative. In the future Tulpar Technic intends to make SSJ 100 maintenance a priority direction for its own base in Kazan. Beside SSJ 100 Tulpar Technic is licensed to perform maintenance of Yak-40/42 and Bombardier CRJ100/200 regional aircraft, Bombardier Global 5000/6000 and Bombardier Challenger 300/850 business jets, as well as Mi-8AMT/MTV-1, Ansat and AgustaWestland AW139 helicopters.